July 15, 2015 July 15, 2015 Sarah M.
My newest obsession is contouring. In my quest to learn new techniques I stumbled upon the NYX Wonderstick. 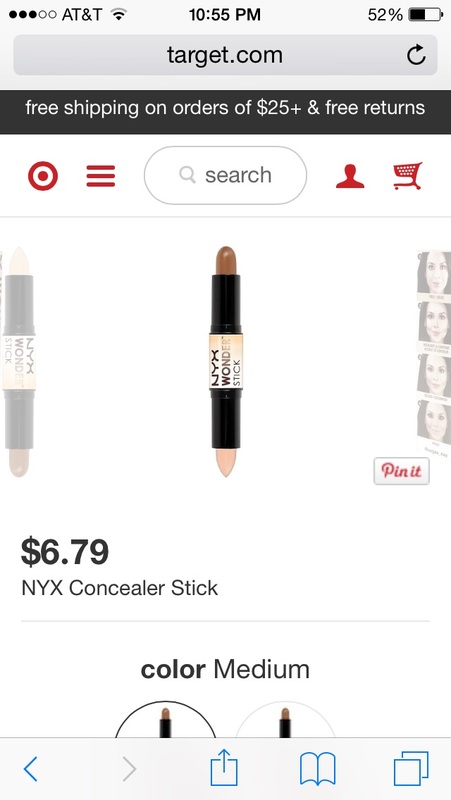 Target & Ulta beauty carry the item and it retails for around $11.99, however if you price match Target.com it can be yours for half price! Make sure to use Cartwheel and score an extra 10% off all cosmetic purchases. To price match simply go to Customer Service at or prior to checkout to get this great deal. Thanks Google shopping for doing all the hard work locating this deal for me!